Streams artificial snow up to 20 ft.
You might think that a swamp-dwelling frog might be out of his domain when it comes to a winter climate. And, for most frogs, you'd be correct. But, Froggy is a master of environmental atmosphere. Just because fog and bubbles are his specialty doesn't mean he skimps on the wonder when it comes time for Jack Frost to come visiting. In fact, Froggy occasionally likes to give his swamp that frosty look. And, generous as he is, he's happy to share! Make your domain a frozen tundra... at least in appearance. You can have the best of both worlds, comfortable climate and snowy wonderland with Froggy's Snow Machine. Easy to transport and simple to set up, this machine can hold a liter of Froggy's Snow Juice and transform it into several feet of drifting snow! You'll have that perfect scene for all your holidays in a flick of a switch. WE ARE GO FOR SNOW! Sometimes, you just need that White Christmas or can't live without a romantic scene of powdery fluff. Who can wait until Mother Nature decides that it is time to give you what you want!? Well, Froggy knows the key to bliss is making the perfect atmosphere in the snap of a finger. 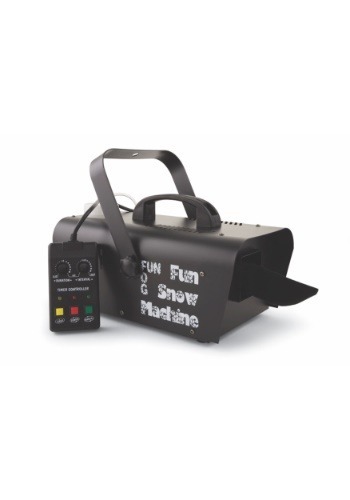 This Snow Machine is the perfect shortcut to wintery fun.